It is Christmas Eve, and we’re seeing a few products drop to insane prices today so that everyone can get a kick out of the festive season. Today, a 34-inch ultra wide monitor from Viotek has shaved off $125 dollars from its official retail price of $500. 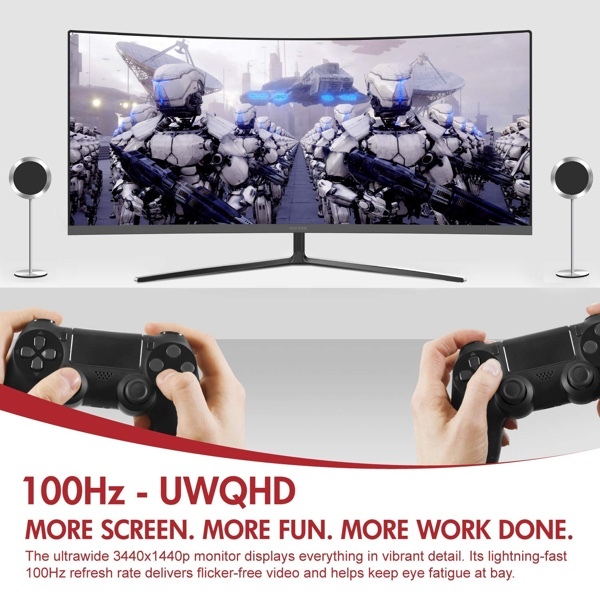 This means that not only you get a high-quality monitor for your workspace, but you also get an amazing quality display at a very low price point. Once you part ways with $374.99, you get 34-inches of 21:9, 1440p goodness which also happens to be curved. But that’s not all, you get FreeSync support under the hood which means that if you plan to use this monitor for gaming then you won’t see any sort of screen tearing in fast moving scenes. On the color front, you get 115% of the sRGB spectrum, which is somewhat overkill. But hey, more the better, right? Of course. On the ports front, this monitor is no slouch in any way. You get multiple DisplayPort 1.4 and HDMI 2.0 ports. This in turn means that you can actually use this monitor with an Xbox or a PlayStation if you like, which is a big win for many users out there. If you’re interested in this product, you can grab it from the link below. But remember, stocks are limited and this particular model will be back in stock right after Christmas. Therefore it will be wise to place your order today if you want to kick off your new year with an ultra-wide resolution.